A business and technology conference supported by Plymouth University has recently been ranked amongst the top three in the world. Industry magazine Software Development Today have released a Top 50 list of Agile or other IT related conferences across the globe, to arm enthusiasts with better knowledge in a rapidly growing market. 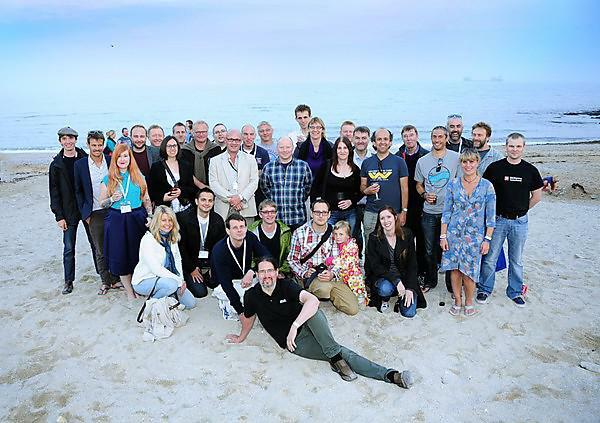 Of the 105 events rated, 'Agile on the Beach (AOTB)' – a Cornish event – placed joint third alongside Lean Agile Scotland. The annual conference, named after a software development methodology, has raised its profile dramatically from 60 attendees in 2010 to over 300 in 2014. It champions a range of Agile areas for ICT professionals to explore, and brings both UK and international speakers to the Duchy. The 2014 event - backed for the first time by technology giant IBM – brought joint keynotes from Bjarte Bognes of Statoil and Joe Rainsberger, leading Canadian technology writer, amongst some 40 other speakers, sharing their knowledge on the latest developments within the Agile movement. Tony Edwards, Plymouth University student has written a blog of the contributions he believes AOTB has made to his learning. The AOTB event explores 4 strands of agile adoption – Agile Business, Agile Teams, Agile Software Craftmanship and Agile Products - giving attendees from the software industry and its supply chain the chance to hear and discuss the latest coding, testing and delivery techniques and tools. The call for speakers for this year’s event, organised by Mackerel Sky Events, is open for online applications. Organisers advise early booking with interest from every continent to take part. For more information or to book, please visit the AOTB website.